1st Gear: Anybody Know What’s Going On? 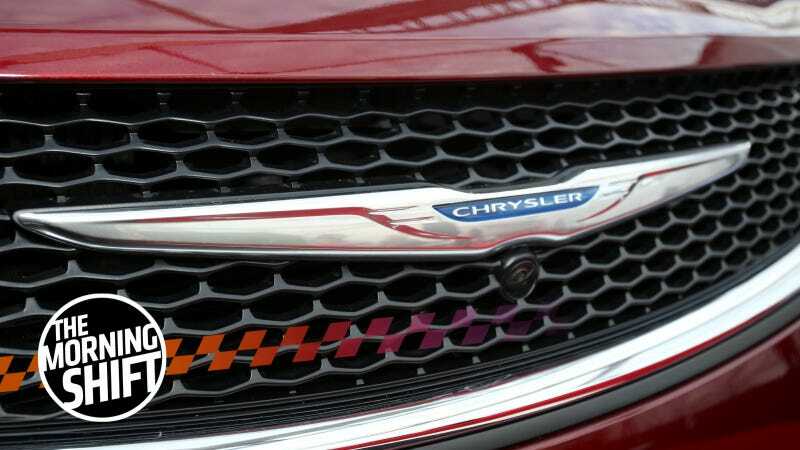 Something’s afoot at Fiat Chrysler Automobiles, though it’s a bit early to say what it is. We can take a guess, however. And no, it’s not the wonder of literally some people buying an Alfa Romeo. FCA head honcho Sergio Marchionne has been trying to sell the company for over a year now, seemingly to literally anyone who wants it. But last we heard, nobody wanted it. Sure, there was a Chinese buyer or two floated here and there, and Sergio talked up everybody from Volkswagen to General Motors as a possible buyer, both of which went nowhere. And that’s where we left it. No buyer for FCA, and just a sad pipeline of Jeeps, the occasional SUV, and an increasingly desperate ploy to put 707-horsepower V8s into damn near everything (Alfa 4C Hellcat, anyone?). FCA shares rose 5.4% Friday to close at a record high of $21.77. Since Tuesday, the stock has risen 22%. In each of the last three days, more trading volume has ranged between 10.6 million and 14.3 million shares, well above the average daily volume of 3.1 million. It’s not like Chrysler has announced big moves in the last week, or released big plans to start churning out Tesla clones. So what gives? It could be that rumors of an imminent FCA sale – or a piecing out, such as a sale of Jeep – could have something to them. We don’t know anything that would confirm such a rumor right now, but back in the days when I used to cover mergers and acquisitions, traders were always calling up to get an edge. And sometimes, they heard rumblings before the big news broke. Of course, SEC rules state that the company has to release all relevant information to everyone all at the same time. So it could just be nothing. Or it could be something. We don’t know yet. If you do, hit us up at tips [at] jalopnik [dot] com. 2nd Gear: I Guess We’re All Supposed To Buy Weird Crossovers Now? That’s disappointing for people who like handling and style and fuel economy and speed. If you embrace death and the endless monotony of suburbia, however, cool. Much of the 2016 presidential campaign was focused on the issue of free trade, with the popular consensus right now being that free trade is only good for corporate executives and people who like to occasionally buy things for cheap, and that it’s been terrible for American workers. But a large component of the pro-free-trade argument is that, fundamentally, free trade ends wars. The whole notion argues that you can’t go out and kill somebody if you’re making money off of them. And the more free trade there is, the more peaceful relations there will be between nations. Which brings us to the current predicament surrounding Korea, with a bit of background before we get back to the whole free trade thing. The United States isn’t about to go to war with South Korea anytime soon, but with two belligerent and erratic leaders at the heads of both the United States and North Korea, there is a distinct possibility of all out war between those two respective countries. The American-North Korean relationship is a complicated one, but a large part of it is that the United States is ostensibly the protector of South Korea, the North’s sworn enemy. But if the North and the South patch up their differences on their own – something of which the chances are admittedly remote – where does that leave the U.S.? The talks, led by Assistant U.S. Trade Representative Michael Beeman and Yoo Myung-hee, director general for FTA negotiations at South Korea’s trade ministry, begin at a time of heightened tension with Pyongyang. The United States had primarily raised the issue of the automobile sector, Yoo told reporters in Washington after the first round of talks, Yonhap News Agency said, but gave no details. A top priority for the Americans is maintaining a tariff of 25 percent on imports of Korean pickup trucks, which the existing deal envisaged to be phased out from 2019, according to a U.S. official and a South Korean car industry source. This week, however, Seoul agreed to high-level talks with the North in response to a New Year’s speech in which the North Korean leader offered an opening to diplomacy. At this point, I don’t really care, I just don’t feel like dying in nuclear hellfire. You reap what you sow, and if you sow a bunch of cheap leases to goose car sales in a slow economy, you eventually have to pay the piper. Fear not, Automotive News says. There will still be new cars. Neutral: Why No Rear-Wheel Drive Crossover? It seems like every weird crossover-y thingy is either front-wheel drive or all-wheel drive. Sure, there are some rear-wheel drive SUVs, but what if I want a Subaru Outback with power only, well, out back? Am I crazy for thinking that would be fun? We’re all going to have to buy the damn things soon anyway.